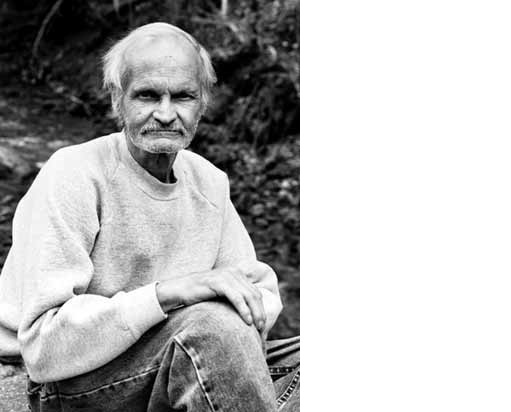 August 26, 2014 by Ken Ward Jr.
James “Jimmy” Weekley, 74, of Blair, died Aug. 22, 2014. For those who weren’t aren’t or don’t remember, Mr. Weekley was one of the lead plantiffs in the first major court case to challenge mountaintop removal. He was one of a few very brave citizens who put a lot on the line to try to take a stand for their home. Ironically, his death came just as many others who were involved in that fight were celebrating the release of the film “Moving Mountains,” which focuses on another early mountaintop removal activist, Patricia Bragg, and brings to the screen the story the great reporter Penny Loeb starting telling in a magazine article and then later explained more fully in her book. UPDATED: In another ironic development, a federal appeals court in Washington has ruled today that the Sierra Club and other groups have legal standing to challenge the removal of the Blair Mountain historic site from the National Register of Historic Places. Arch Coal Inc. lawyer Blair Gardner sipped ice water on James Weekley’s front porch swing Monday afternoon. Gardner walked up Pigeonroost Branch and listened to Weekley reminisce about hunting squirrels on the mountainside and fishing with his grandchildren in the stream. Hummingbirds hovered around feeders hung on Weekley’s porch. Beech, oak and walnut trees covered the surrounding hills. The sounds of the flowing stream hung in the background. During part of the two-hour visit Monday, Gardner and Dal-Tex General Manager Mark White sat on Weekley’s porch swing while Weekley recited his concerns about the proposed new mine. Weekley said blasting from the existing mine has already damaged the foundation of his home. Dust from the mine makes it hard for Weekley and his wife to keep their siding clean. Noise from heavy equipment is constant. Gardner and White responded that the Dal-Tex operation complies with current environmental rules. Gardner scribbled notes on a bright yellow legal pad. Weekley also took Gardner, White and a herd of reporters and camera crews on a walk up Pigeonroost Branch. At times, the group walked along the creek in areas Arch Coal plans to bury under a valley fill. A lot has happened since that day. U.S. District Judge Charles H. Haden II ruled for Mr. Weekley and the citizen groups in a landmark decision that was later overturned on appeal. Other mountaintop removal cases have come and gone, each one pressuring the industry and adding to the weight of evidence — now very clear — about the practice’s impacts on Appalachian hills, hollows and streams. New studies continue to raise warnings about how residents who live near mountaintop removal face increased risks of serious illness and premature death. 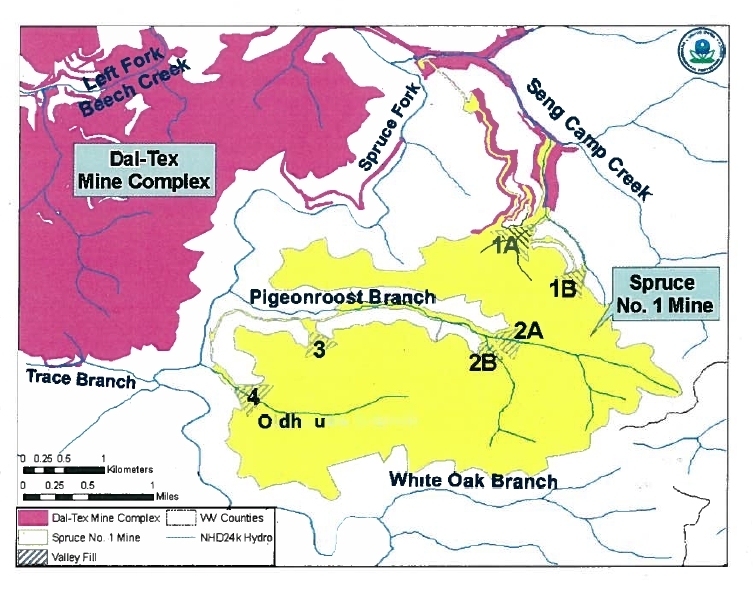 The Obama administration’s U.S. Environmental Protection Agency vetoed a key permit for the Spruce Mine, ensuring that most of the operation proposed near Mr. Weekley’s home would not be mined. 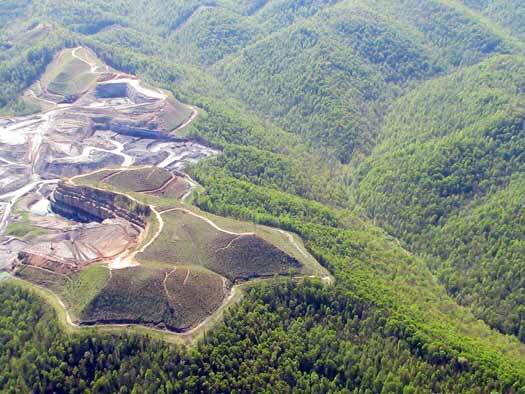 Most West Virginia elected officials continue to try desperately t not confront the key facts about mountaintop removal, choosing instead to spend public money to continue to fight in court the fairly meager efforts of EPA to do much to control mining. Meanwhile, coal miners in Southern West Virginia — like those who got laid off when Judge Haden initially blocked the Spruce Mine — continue to lose their jobs in an economic transition that has its roots in cheap natural gas and the mining out of most of the easy-to-get coal reserves in Central Appalachia. As with mountaintop removal, elected officials refuse to face those facts, meaning they do little in the way of serious efforts to diversify the coalfield economy. Instead, they just blame everything on President Obama, leaving us with political campaigns that involve little discussion of crucial issues. To me it’s a rain forest. It’s a beautiful place with clear water, with every aquarium life in it, all different species of hardwoods, between two mountains that is very, very beautiful to me. I remember Jimmy telling me and Terry, “I sometimes still fix two cups of coffee, one for me and one for my wife. I know shes gone,but I take the coffee to her grave and sit down. I just drink my coffee and tell her all about things I feel.” It was difficult to be the only one left up Pigeonroost Hollow. Wilma, your words are poignant. Ken, thanks for the remembrance. Mr. Weekley, RIP. I am so glad for the testimony in life, words and deeds of Mr. Weekley. I no longer live in Logan County but I do mourn that I will never see Blair Mountain, or “22” mountain near Holden, the way they were in my youth. The coal is running out. When Big Coal talks about how much coal is left to mine they are including the coal under mountains, cities, roads, towns, parks. And global warming is real! And we’re causing it! Do we really care so little about our children and grandchildren’s lives that we’d rather see them sick and impoverished, living in a collapsed world rather then change our dreams of restoring a 19th Century economy? Coal is gone people! Most miners lost their jobs 30-40 years ago! It’s not a War on Coal. Rather, they are fighting a War on Reality. — and you know what? I learned this as a child– reality always wins. Rest in peace Mr. Weekley. Many of us will try to honor your memory with our lives, words and deeds. Honkycat says RIP Mr. Weekley. I too met you on your front porch, as an EPA employee.